Today we're going on a magical adventure. 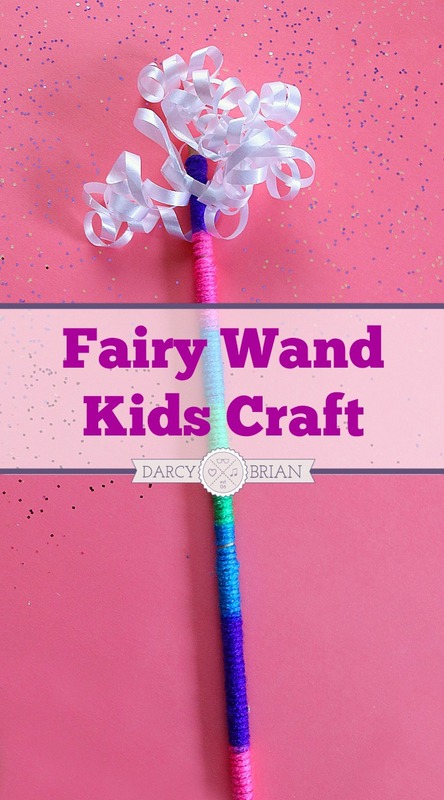 An adventure where we shrink down as tiny as a blade of grass, visit a fairy garden, slip through the tiny door, and learn how to make our very own fairy wand. If you have a fairy costume (especially pretend wings), now is the time to put it on! This activity is great for encouraging pretend play. This kids craft would work as a play date, birthday, or sleepover activity too. 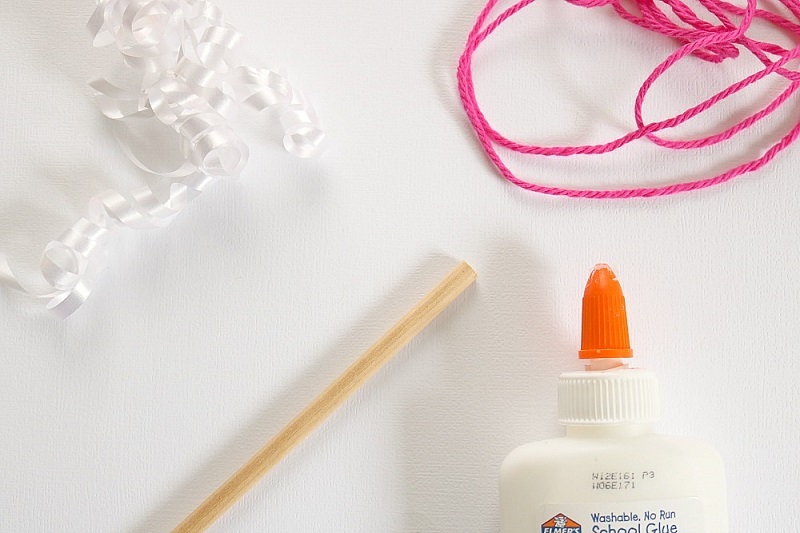 Start by gathering up your craft supplies. Squeeze glue all over the dowel. Don't have a dowel? A sturdy stick from your yard works too! Starting at one end of the dowel, begin tightly wrapping the yarn around. Continue to wrap the yarn as tight as you can until you reach the other end. You can use one continuous piece of yarn or you may cut different colors. When one piece ends, just start wrapping the new one where the other one left off. Take the ribbon and cut six 10 inch pieces. Gather the ribbon pieces (on top of each other) and tie them together in the middle. 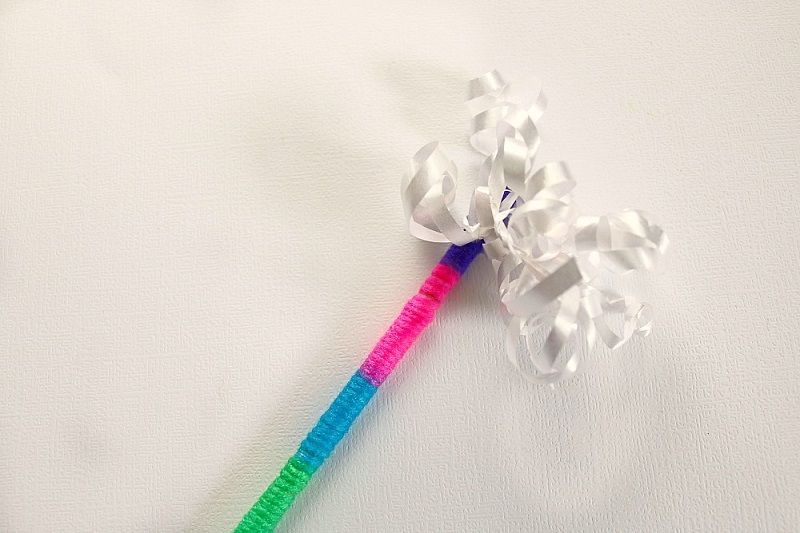 Tie the curled ribbon bunch on the end of the dowel. Reinforce with a dab of glue around the knot and allow to dry. 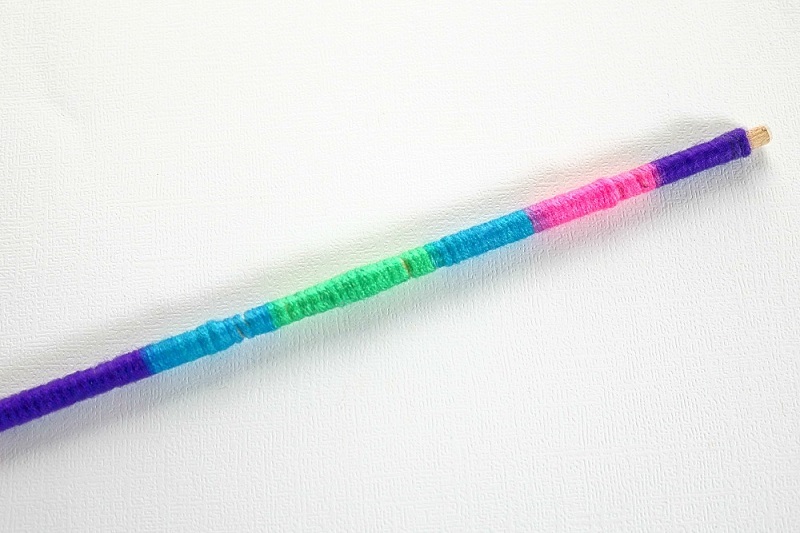 For extra fun, you can have your kids say “abracadabra” or a silly nonsense word to complete their wand. You may also consider sprinkling a bit of pixie dust (glitter) over it. Are you ready to go on your own magical adventure? 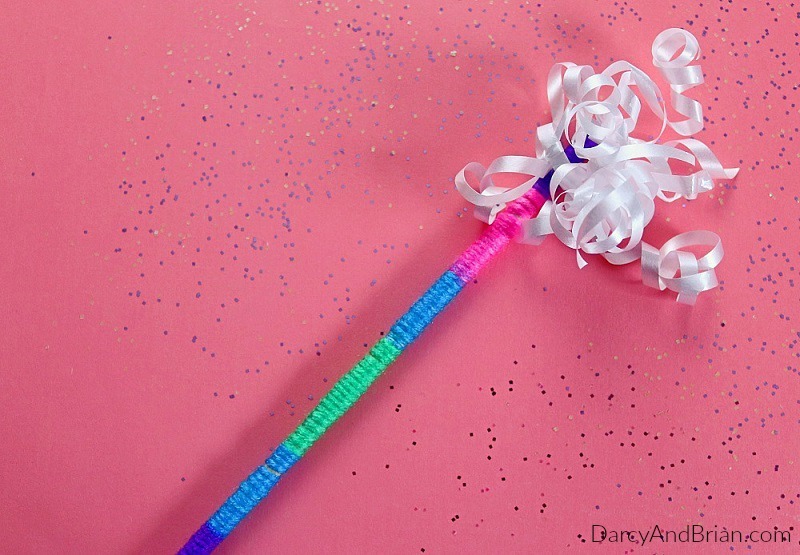 We hope you enjoy making your very own fairy wand. Kids craft days can be full of magic! Such a cute idea! I bet any kid would love these! Thanks for linking up with Merry Monday. Thanks, Emily! I love how easy they are to make, yet can provide a lot of imaginative play.